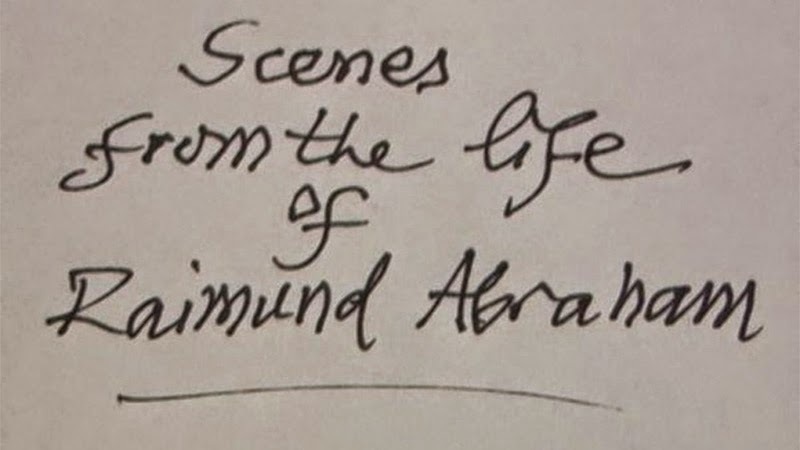 Those who find themselves in Copenhagen in a couple weeks will be in for a treat, as Jonas Mekas's Scenes from the life of Raimund Abraham will be making its world premiere on March 22 as part of the Copenhagen Architecture Festival CAFx. Details on the 300-minute (!) film can be found below, but also check out the long list of other films that will be screening over the course of CAFx's five days (March 18 - 22). World Premiere of an architect-portrait from an avant-garde film-legend. This until now unpublished film by the American independent director Jonas Mekas is a portrait of the architect Raimund Abraham. Characteristically for Mekas, he interweaves footage of both everyday and important events together into an unhierarchic mosaic of moods and moments. Lectures, dinner parties, kitchen table conversations and studio life meshed together and framed by the New York director’s personal understanding of film. The shape of the portrait is not classic, but tries instead to present a fragmented, sensitive portrayal of a life. Abraham’s creative environment and social circle plays a significant role in the film, where you meet notables such as Peter Eisenman, John Hejduk and Patti Smith. Raimund Abraham was born and educated in Austria but moved in 1964 to the United States, where he played a leading role in the architectural avant-garde environment. He taught at Rhode Island School of Design and Cooper Union, among other places. The film is introduced by the architect, Professor Anders Abraham.